Cloverfield is shot with handheld camera as if the group of friends actually documented what they experienced. Itâ€™s exactly the same idea as in The Blair Witch Project. While the handheld shooting seems to work in this case, I think they use it far too much. It makes me sick. I agree that some handheld shots are probably necessary to create authentic atmosphere but shooting the whole film handheld is too much. Another problem is credibility. The way the actors use the camera in the middle of the chaos is not always believable. For example the camera man with a light being the last guy in a row in a pitch black tunnel. It just doesnâ€™t make any sense. Another problem is the actors who are pretty much unknown. I found myself longing for some more seasoned acting and some star power. 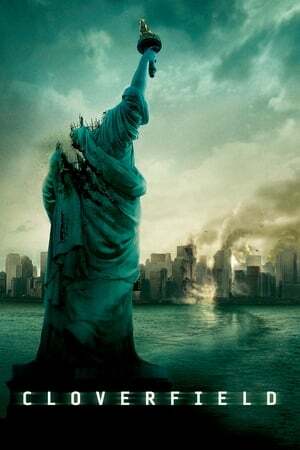 Even though Cloverfield is a sci-fi movie, the focus is people, not the visual effects. Therefore strong acting is needed. Donâ€™t get me wrong, I am not saying that the actors were bad; I am just saying that I think the movie would benefit from more experienced actors. Besides the camera work, â€œwe documented thisâ€� idea and the actors I have nothing negative to say about the film. All in all the movie is actually good. It starts swiftly and keeps you at the edge of your seat until the very end. The movie builds up tension very effectively and the chaotic atmosphere is very tangible. Visual effects are very good and I especially like how they use them seamlessly to support the story. If you enjoy a good sci-fi thriller this one is a sure bet.